With more than 380 million members, LinkedIn is the largest professional network so it is only logical to use it when trying to attract new freelance clients. 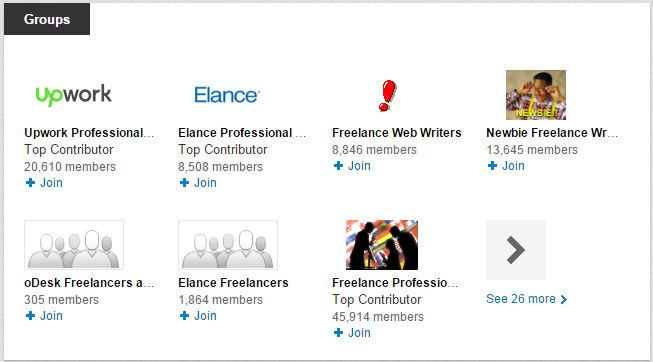 Surprisingly though, a common mistake freelancers make on LinkedIn is not completing their profiles. 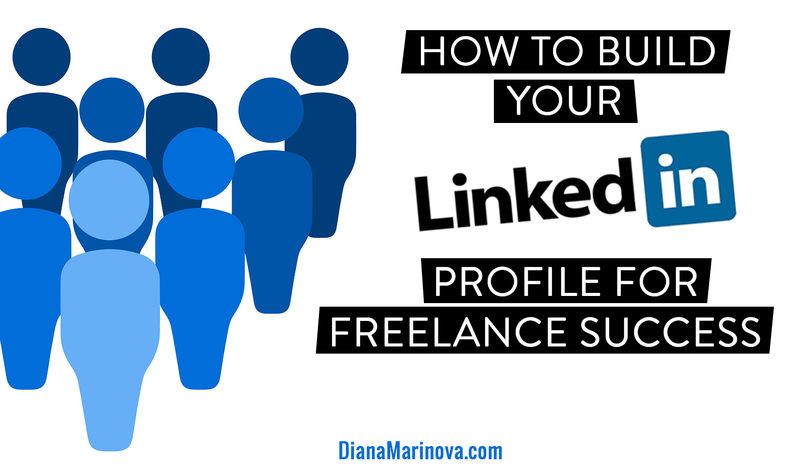 So here are some insights how to make a strong LinkedIn profile for freelance success. Being a freelancer, chances are your clients will know you and refer to you by name. I recommend you include both your first and last name (e.g. Diana Marinova) rather than a nickname or your first name and last name initial (e.g. Diana M.). This way you will be more recognizable and will come up in search results, should someone look specifically for you by name. When I say by-line, I mean that little piece of information that goes with your name on top of your LinkedIn profile. I have seen many people do different things—some unleash their creativity and put a catchy by-line that hardly ever gives information about what it is that they do—for example: Quality Work Assured. Others are very brief and to-the-point, giving general information about the niche they work in—for example: Marketing and PR Consultant. And probably the majority of freelancers choose to share a few of their best-selling services or skills through the by-line: Professional Content Writer| SMO | SEO | Web Development Expert. One of the reasons they do this is to target keywords because website search engines often take into account the by-line. I’d recommend you take the best of all worlds and include a single-sentence description of your professional skills or experience, while targeting keywords. For example, let’s pretend you are a bilingual English and Spanish writer and translator. If you choose to advertise “Writer and Translator” in your by-line, you will compete with many other writers and translators on LinkedIn. But being specific in your by-line by stating “Bilingual English-Spanish Writer and Translator” might help you stand apart from the crowd and appear on top positions when clients perform narrow searches on the network. A by-line can work well for you and not work well for another person with your profession. You should experiment and see what works best for you and your target clients. The last bit in my by-line, Traveler by Heart ツ, reveals my personality which has proved to be a significant part of the decision-making process of everyone, with whom I come in contact. So above all, experiment until you find the by-line which serves you specifically. As a freelancer, you probably have a website, maybe a profile on a freelance job board, professional forum, or other place where you come in contact with prospects and clients. Make sure you use the same profile photo on those websites as well as on your LinkedIn profile. Being consistent with your photo helps your target connections instantly recognize you across the board, when they research you as a potential freelancer for hire. This is maybe the most important part of your LinkedIn profile. You get to sell yourself in this section. Write it with your desired clients in mind and make sure you describe your goals well and in detail. Don’t tell the story of your life here. Furthermore, don’t repeat your employment or education details—there are separate sections for those on your profile. Instead, focus on what you are good at, what you want to do, and why they should hire you. Include your unique selling proposition or better yet, your value proposition. Make your LinkedIn profile summary personal—clients hire people, not robots. Don’t use too many words but make it detailed enough. Two or three paragraphs usually work fine. If needed and appropriate, use bullet points to make it easy to read through your skills or expertise. And finally, make sure your summary starts strong. You have ten seconds to capture your prospect’s attention, so make your first sentences count. Articles, blog posts, white papers and anything about healthy eating or fitness! I have never missed a deadline in my life. I reply to e-mails within one business day. I eat healthy and go to the gym three times per week. I am an old-time subscriber of many nutrition magazines and websites, including Today’s Dietitian, Food & Nutrition magazine, and Men’s Health magazine. My wife swears I would have made an excellent chef, too! My passion for healthy eating and having a healthy body, combined with my writing talent, makes me a perfect fit for most writing gigs in the nutrition and fitness niches. So why look elsewhere? Contact me now so we can further discuss your project needs and how I can help you. This may be trivial, but these sections are important. There are still people who prefer working with freelancers with more experience or higher education, so be sure to mention what you’ve studied and worked on in the past. You never know who might be reading and hiring. But again—don’t tell the story of your life. List the experience and education that relate to what you actually want to be hired for. If you want to land editing gigs, your experience as a waiter or a waitress won’t do you any favors. Don’t include it. If you want to be hired as a project manager, including your experience as a tour leader or a travel guide can actually prove helpful—organizing a day for a group of forty or more people will testify to your superb time management and organizational skills, all too needed in the daily work of a project manager. You can list your experience and tasks you have done in the past but if you want to really stand apart from the crowd, you should focus not so much on what you have done but how that would help your potential client. To continue the example with the experience as a travel guide, wanting to land project management gigs, nobody would care that you have been on ten trips to the Grand Canyon during the past five years. But prospects will be impressed when you tell them that during your ten trips to the Grand Canyon, all 1,500 tourists left five-star reviews about you and your travel agency because your program was well-organized, everything was running smoothly on time, and nobody fell off the cliff under your management. Remember—clients hire you for the benefits they’ll get, not because you are super good at what you do. If you can, take advantage of the additional features LinkedIn offers – e.g. adding a link, media file, presentation, document or project listing to a “past experience” section. It would really help you stand apart from the crowd. Not having recommendations on your LinkedIn profile won’t stop you from achieving freelance success. Nevertheless, having LI recommendations has its benefits. For example – you are more visible and better positioned in searches. Also, the recommendations add credibility and value to your profile. Often, people who are looking for new team members may be more inclined to hire you if you come recommended, especially if it is by someone in their own network. If you are just starting your freelance career and don’t yet have clients whom to ask for recommendations, you can ask friends or colleagues you have worked or studied with to share their experience and say a few words to testify about your personal traits and professional skills. Make it a habit to ask for a recommendation on LI every time you complete a project. Ask both your clients and team members to share their feedback. By ‘other sections’, I mean certifications, volunteer experience, languages you speak, projects you have been involved in, test scores, awards, patents, etc. These may or may not be relevant to you. For example, if you have no volunteer experience, don’t add anything to that section and it won’t be displayed on your profile. But know that the more sections you populate, the stronger your profile will be. Unlike recommendations on LinkedIn, getting endorsed by connections is fairly easy. Endorsements give credibility to your LinkedIn profile, too. When someone views your profile, LinkedIn prompts them to endorse you for a skill. Make it easy to endorse you by adding relevant skills to your profile in the appropriate section. Make sure to clean the skills on your profile regularly as people may endorse you for something you don’t actually want to be known for. When adding skills, remember your ideal client profile and what type of projects you want to be hired for. If you are serious about attracting freelance clients through LinkedIn, you have to utilize group discussions. How to decide if a group is worth your time or not is a topic of another post (yet to be written!) but if you are already a member of a few relevant groups, make sure you display them on your profile. Only a few of the groups you are a member of will be displayed on your profile. See below the groups displayed on mine – they are only seven, while I am a member of over 20 groups. Decide which groups will potentially link you to prospective clients and display those. If you share a group with a prospect, he or she is more likely to invite you or accept your invitation to connect on a personal level. Every LinkedIn profile comes with a default URL which is a combination of your name, your country of residence and a string of letters and numbers. While it is not a mistake to just leave your URL be as is, for branding purposes it’s good to claim a vanity URL with your name. If by any chance it’s taken (mine was! ), you can set it to something which contains your name but also gives an idea about what you do – e.g. /DianaMarinovaFreelance or /JohnDoeWriter. Have you noticed the “Contact Info” button on your LinkedIn profile? When someone clicks it, your contact info is revealed – e.g. email address, phone, IM, Twitter handle(s), website(s) – everything that you have entered as communication channels. Only connections are able to see the contact info and only the information you have entered is visible. For example, if you don’t enter your phone number, that section will not be displayed. A trick that not many freelancers know is how to customize the anchor text of your website(s). When you go to enter a website in your contact info, you have a few default options – Personal Website, Company Website, Blog, RSS Feed, Portfolio, and Other. If you enter the URL of your portfolio, then the default option “Portfolio” would suffice. But if you want to display a specific text as anchor for your URL, then I suggest you use the option “Other”. This way LinkedIn will allow you to enter custom text (e.g. 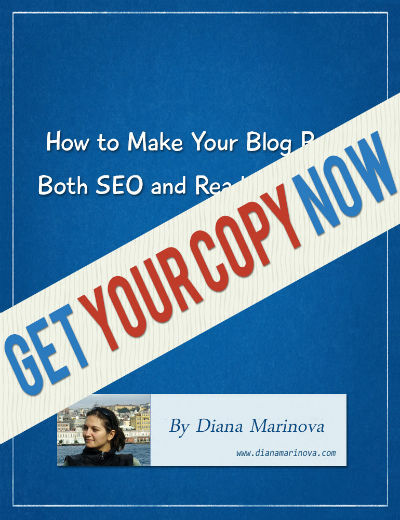 Freelance Marketing Blog) to go along with your URL. This is recommended for branding purposes as well as for the sake of clarity to your connections, viewing your contact information. Have you come across a LI profile of someone you consider interesting, only to find out that you cannot learn anything about them, unless you are connected? I get really frustrated when I stumble on such a profile because I want to learn more about them before I decide if I want to connect with them or not. If you limit your public profile visibility, you may potentially lose good connection opportunities with people, reluctant to connect with strangers. You can choose what information to make publicly visible by going into your settings panel. Scroll down to the Privacy section and find “Edit your public profile” text link. There you will be able to set your public profile as visible to everyone and choose what sections of your profile to display to everyone. I believe the more you display, the better you will be perceived. If you have strong privacy requirements and beliefs though, I recommend you include in your public profile at least your profile photo, headline, summary, current positions, and recommendations. Do the above, and you’d have laid a solid foundation for freelance success on LinkedIn. P.S. I have not included much technical how-to advice in the post because I believe the know-how tips and ideas which I shared are much more important (and elusive) to freelancers. 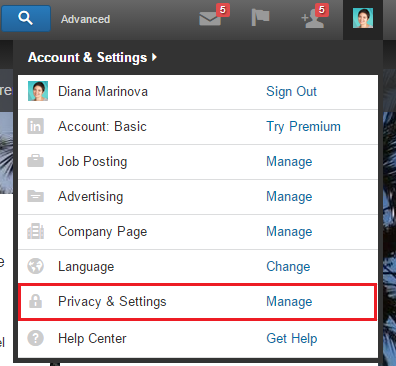 For technical steps and details on where to find the settings for each tip, you can browse the LinkedIn Help section. Over the last few months I have been trying to improve my LinkedIn profile. First impressions really do count. Wow, Diana! 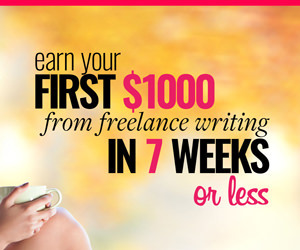 I’ve visiting from your FreelancerFAQ’s guest post. This blog post is very thorough, and I’ll have to bookmark it for later, but thanks for all the time you put into this post. I’ll make improvements, and then let you know how that works out. Hi, Annette – thanks for stopping by. I am glad you checked out this post as well 🙂 I can’t wait to hear about your experience and see your all-star LI profile. Happy improving!